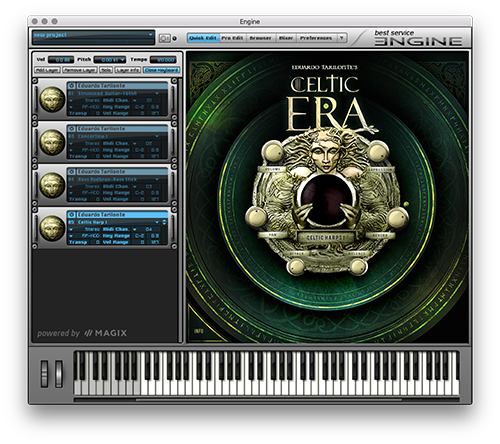 Celtic ERA by Best Service is a Virtual Instrument Audio Plugin and Soundware (e.g. samples or presets that load into other products). It includes, and is therefore "powered by", Engine, which functions as a VST Plugin, an Audio Units Plugin and an AAX Plugin. Whenever the unmistakable flutes are heard, they'll magically enchant our dreaming minds with pictures of the green island and its majestic Nordic mountains. Hence, Celtic ERA is the pick of the bunch for film-scores and background music for television documentations taking place or being settled in this region. Whether historical or fictional background, the authentic sounds of Celtic ERA will lift the power of the pictures to a new level. 18-GB-heavy library with more than 18,000 samples. 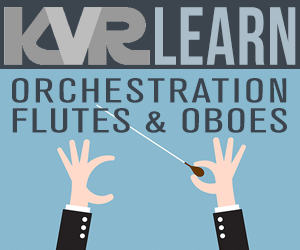 23 brass-, string- and percussion-instruments in full detail and with immaculate quality. three additional instruments from the Bronze Age: Cranyx, Cornu and War Horns. All instruments are elaborated multisamples (24-bit/ 44,1 kHz) with several dynamic graduations, various articulations, round robin and real legato samples as well as dedicated glissando samples. Recorded using selected Kahayan U47-microphones into preamplifiers by the same manufacturer. All instruments have been played by superb musicians of the Irish music scene. 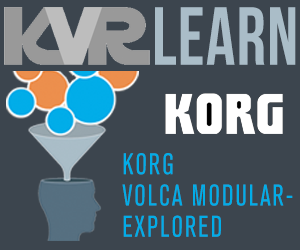 Including authentic phrases as MIDI-patterns as well as inspiring soundscapes. Acoustic Guitar (fingered and plucked). Strummed: Acoustic Guitar and Irish Bouzuoki. The instruments of this roundabout 18-GB-heavy library (consisting of more than 18,000 samples) are elaborated multisamples (24-bit/ 44,1 kHz) with several dynamic graduations, various articulations, round-robin- and real legato-samples as well as dedicated glissando samples. Celtic ERA transfers the sounds of the far north, that have been preserved until this day from times long gone by, into today's DAW-based production environment. The carefully programmed user interface of the Engine player makes work with this library real easy, allowing musicians to be inspired by the libraries' sounds to fully unfold their creativity. The recordings for Celtic ERA were made in Eldana studios in Spanish Dueñas. All instruments have been played by superb musicians being part of the Irish music scene. Martino Vacca (Uilleann Pipes, Irish Flute, Whistles), Karen Hickey (Fiddle), Carlos Martín Aires (Acoustic Guitar, Irish Bouzouki, Tenor Banjo), Jean Yves Magre (Highland Pipes), Pablo Vergara (Bodhrans). Eduardo Tarilonte, the creator of this library, single-handedly played the Concertinas and Celtic Harps while the three historical instruments were performed by Abraham Cureiro. All instruments have been recorded using selected Kahayan U47-microphones into preamplifiers by the same manufacturer. Miking was carried out intentionally close and thus without room detail. This procedure offers full control over the following sculpting of the sounds and effects. 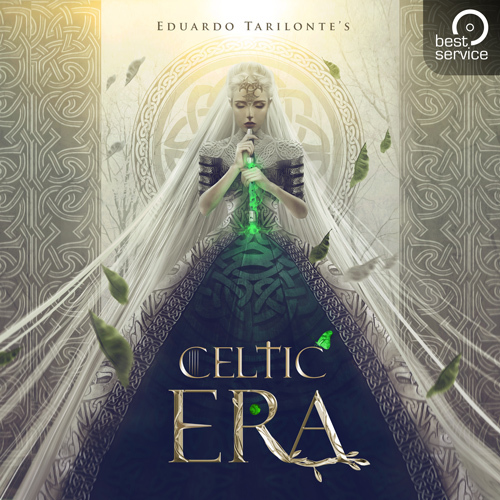 Therefore, the sounds of Celtic ERA can be combined with Eduardo Tarilonte's others libraries without any difficulty.